Between Panda Centers in China and zoos around the world, there are approximately 500 Pandas in captivity . In the 1940s, the Chinese government began initial conservation efforts to protect the Giant Pandas. The idea was to set aside safe areas where the animals would be protected in their natural habitat. During the early 1960s, China’s State Council called upon the provinces to set aside land for the protection of China’s wildlife. 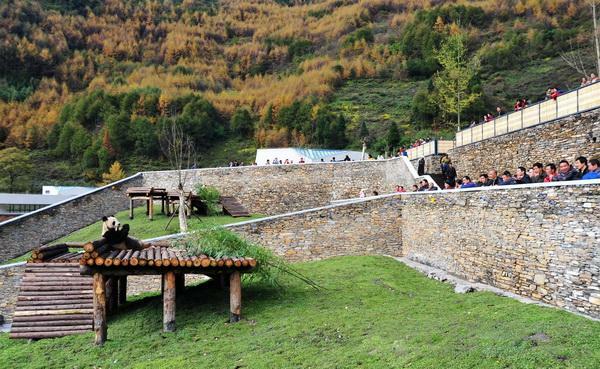 Sichuan province responded quickly with a plan to create reserves to protect Giant Pandas and other animals in the area. Today there are approximately 40 panda reserves across Southwestern China. 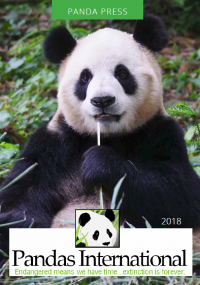 Some are Nature Reserves providing a safe habitat for wild Giant Pandas, like a National Park Other reserves protect the wild Giant Pandas while having scientific research centers to study their behavior and for breeding captive Giant Pandas. The reserves are intended to protect the Giant Panda’s natural habitat. Logging is extremely detrimental to the habitat so in 1998 a logging ban was implemented by the Chinese government to slow the destruction. Bamboo, the Giant Panda’s primary food, flowers once every 10 to 100 years depending on the species and then dies off Historically, when bamboo in one area died off the Giant Pandas would move to a new area. The expansion of human populations resulting in roads, towns, power lines and logging for both fire wood and agriculture have made migration difficult for the Giant Pandas. In order to reduce this problem, corridors must be built within the reserves to allow the Giant Pandas to move freely from one area to another when the bamboo dies off. Logging is a problem for the growth of the bamboo, as bamboo grows in the shade of the large fir trees. Logging has also resulted in the reduction of large old growth trees, the favorite spot for mothers with cubs to den or nest after they have a cub. This results in fewer safe dry places for the mother to raise her cub Scientists are experimenting with building artificial dens to resemble old growth trees. Isolation is also a problem in the mating of wild Giant Pandas The same problems preventing Giant Pandas from finding new food when the bamboo dies also prevent male and female Giant Pandas from finding one another during the mating season. Consequently, building corridors is also extremely important to the mating process. Conduct research on Giant Panda behavior, mating, breeding, diseases, etc. In order to spread awareness and engage a larger audience in saving the giant panda, China has either gifted or leased giant pandas to zoos around the world. Giant Pandas can be found in Australia, Austria, Belgium, Canada, Finland, France, Germany, Japan, Malaysia, Mexico, Netherlands, Singapore, Spain, Taiwan, Thailand, the United Kingdom and the United States.